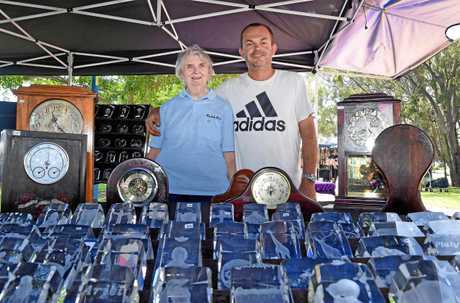 THE clock reads 2am when Margaret Vickers and Bernie Wood spring out of bed for market day. 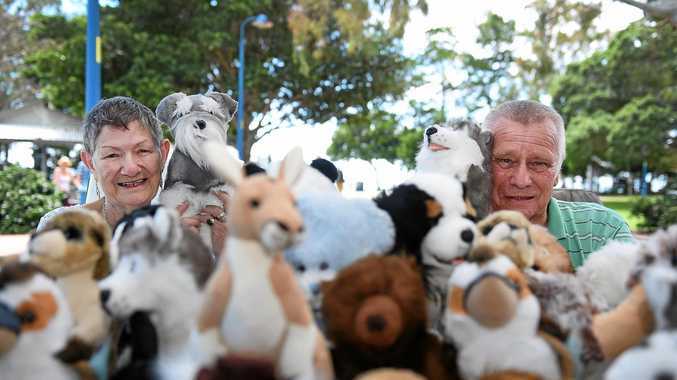 It's still dark outside as the couple arrives at Urangan's Pier Park to set-up their stall, carefully positioning about 200 soft toys to create a display as aesthetically pleasing as possible. 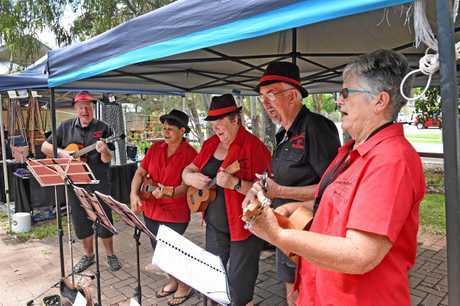 Once Pier Park Community Markets open to the public, the Hervey Bay retirees happily mingle with visitors and the other stallholders amid beautiful scenery and street performers. They're not in it for the money. Instead, Ms Vickers - who is legally blind - says they come for the people. 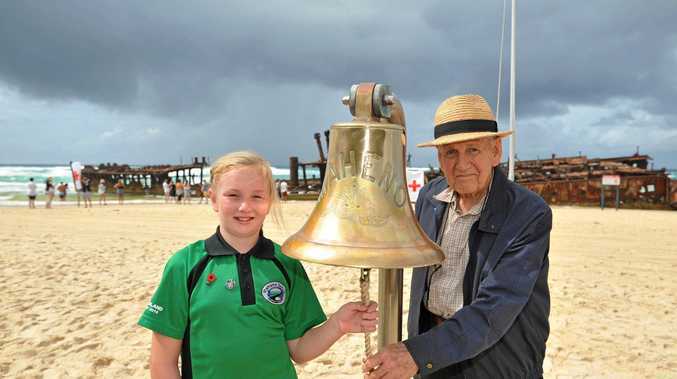 "The atmosphere is like nothing else,” Ms Vickers said. The markets have cemented their spot as a beloved regular Fraser Coat event. But a video of a seller yelling abuse at New South Wales visitors has circulated social media, dragging the markets into controversy. The incident was filmed in January. Pier Park Community Markets vice president Karen Spink confirmed the woman was banned from the markets after the committee was made aware of her tirade. "That was just shocking,” Ms Spink said. "We won't allow anybody to destroy the great atmosphere. Pier Park Community Markets was established in 2012, originally just running on Saturdays. Wednesday market day were added a couple of years ago. A major function of the markets is to raise money for charity. Last year, the committee donated $26,000 to local groups. Many of the regular stallholders are retirees, or semi-retirees - but not everyone. Allan Jones, in his 50s, turned to crystal etching as a hobby after suffering a 6m fall. He's made more than 4000 designs with his work featuring anything from pop culture figures, to animals and sports. The majority of sellers are from the Fraser Coast region, but those from outside areas including Bundaberg and Childers commonly visit. Childers-resident Laurel Ackroyd has been selling embroidery products in Hervey Bay for years and has always felt welcomed. The Saturday markets have about 80 stalls. 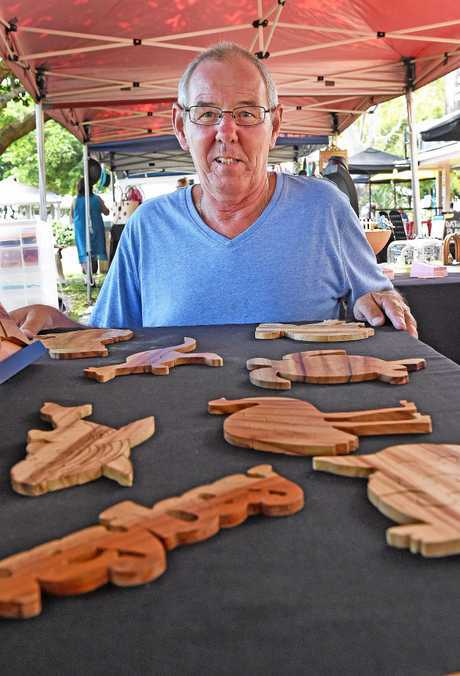 Pier Park Community Markets run Wednesdays and Saturdays 7am-1pm next to the Urangan Pier.